It’s nearly impossible to find a store in the U.S. that has been in business for 130 years. And it is getting more and more difficult to find a multi-generational family business in Florence. 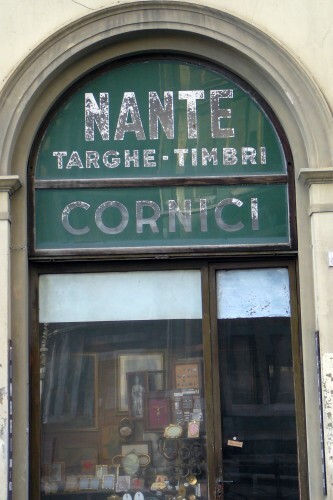 But tucked across from the back side of the Duomo is one such place – Nante, a shop of timbri (rubber or ink stamps), cornici (picture frames) and targhe (signs). 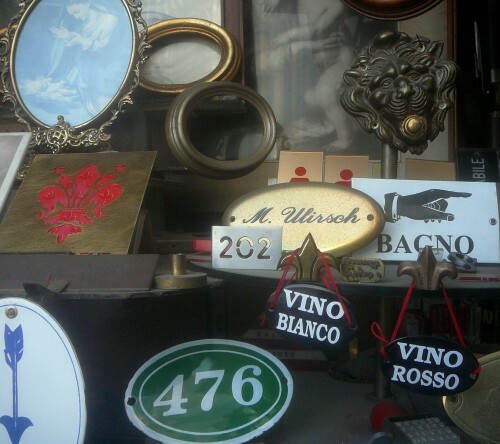 Mario Nante, grandson of the founder, displays a large sign from his grandfather’s first shop in Rome. It’s dated 1879 – just after Italy became unified as a country and the capital moved from Florence to Rome. 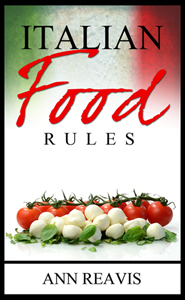 Mr. Nante was born after his grandfather moved the business to Florence. He remembers when the shop was in Via Strozzi (where the Dolce & Gabbana store is now). He has a decades-old photo of that store. 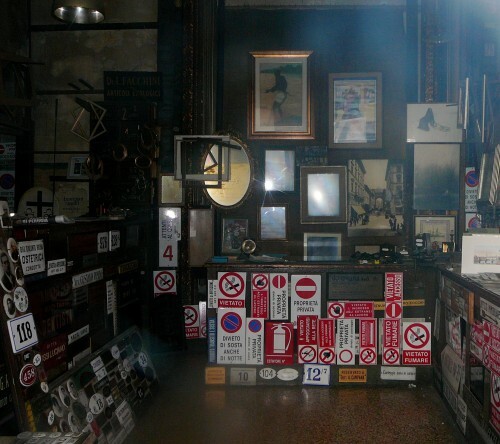 His father moved the business to the crammed location in Piazza del Duomo. It is leased from the preti (priests), Mario Nante says. Nante supplies enamel plaques of every variety: attenti al cane (beware of the dog), WC, toilette, cucina, vietato fumare (no smoking) and hundreds more. 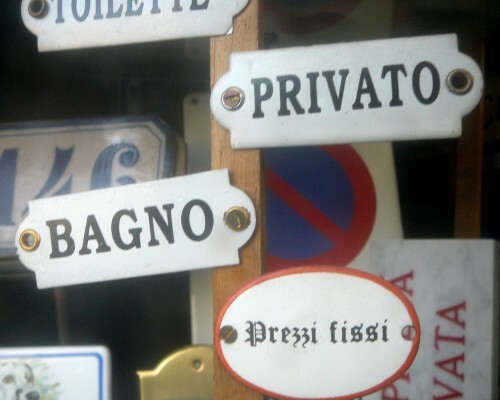 Florentine residents are most likely to order brass name tags for mail boxes and doorbells. 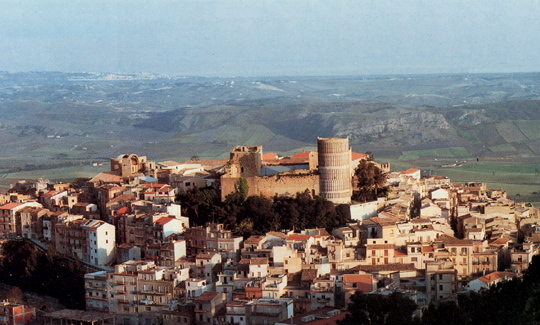 Aficionados of small antiques and those who are seeking a small unique gift or remembrance of their Italian holiday should take the time needed to find the treasures hidden in Nante’s dark and dusty corners and hanging two and three layers deep on the walls. Mario Nante smokes his brown hand-rolled cigarettes and sits silent behind the counter, merely telling the tourists that he speaks no English. He’s a bit intimidating even if you speak Italian, unless you are a Florentine who shares his memories of when even the poor dressed with respect in vest, hat, jacket and button-down shirt (“before the Americans in their flip-flops and t-shirts invaded the city”), and when broken Easter cookies (quaresimali) could once be purchased by children from the pastry shop for less, and when storytelling elders were respected before the television “stole away” everyone’s brain. If he chooses to chat, he may tell you of the gazza (magpie) that “fell off the Duomo” one day. He nursed it back to health at home, where it became a member of the family. Nante is open most mornings, but as for the afternoon, he shrugs “Dipende dall’umore” (Depending on my mood). During hunting season he is sure to be off with his dogs in the Tuscan forests. Mr. Nante has no children and is, perhaps, in his 70s, so when he chooses to retire the shop will close for good. Open Monday through Saturday (perhaps) 9am to 12pm; Closed Sunday.